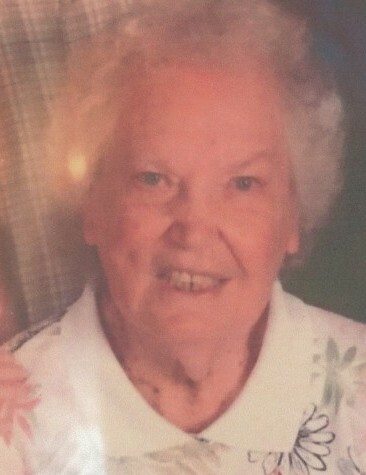 Bertie Willjo Callaway, 92 of Kincaid, IL went to be with the Lord on April 2,2019. Bertie left West Virginia in 1945 and came to Kincaid to visit her sister when she met and later married Wayne Callaway Sr. on May 25, 1944 in Taylorville, IL. Bertie was preceded in death by her husband Wayne, grandson Wayne (Max) Callaway, parents Frank and Haddie Freeman of WV, brothers Stewart Freeman of WV and Pete Freeman of FL, Sisters Lucille Hall of PA, and Virginia Grobosky of WV. She is survived by her children, Wayne (Shirley) Callaway of Taylorville, IL and Kathy (John) Sedlock of Kincaid, IL, grandchildren Mark Callaway of Owaneco,IL, Jennifer Sedlock of Springfield, IL, Jessica Harris on McKinney, TX, Joshua Sedlock of LeRoy, IL , 12 great-grandchildren and one great-great granddaughter. Graveside service for Bertie will be held on Monday, April 8, 2019 at 10:00 am at Oak Hill Cemetery in Taylorville, IL. Pastor Steve Smith will officiate. Masterson Funeral Home and Cremation Service is assisting the family.